Last month, I toured the YesVideo facility in San Jose, met with the folks who run their operations and got real insight about what they do, why they do and how it’s done. While a great deal of how they run their operations is proprietary information, I’m going to share just how amazing I think this company is. This is just me telling it like it is. I’ll be quite honest, I was nervous about trusting anyone with the videos I had sitting at home. Videos I could never watch again, because, they were mine, yet I didn’t have the technology needed to watch them. These were my precious memories and the thoughts of sending them to anyone terrified me. After all, sitting on these videos were images of my late grandmother, grandfather and father-in-law. Don’t you love it when you brain overrides great things? Let’s toss in all of the major STUFF that had happened over the past few months and it’s been… nuts and I hadn’t had the time, nor the inclination to get my media out to the door. Even though I knew it would get extra special treatment, when you’ve been in Zombieland, you just don’t get it done. So, I packed my bags to head to Ca-la-for-nee, videos in my luggage, and started the trek to YesVideo. While the travel portion was quite eventful, once I made to San Jose I was — wowed. You know the feeling, mouth open, eyes and ears intent on taking everything in, trying to absorb it all. 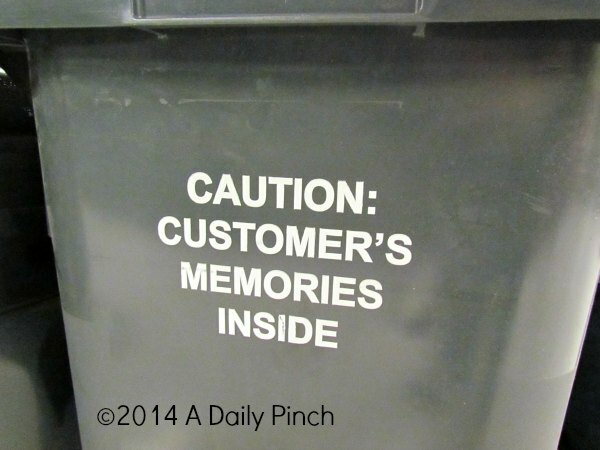 When you’re on site at a tech company and going behind the scenes, there’s a lot to take in. But there is more to YesVideo than just a tech company. YesVideo makes your family theirs from the moment you ship your package. From the time your package is shipped, it’s treated differently. YesVideo’s relationship with UPS ensures your packages aren’t just offloaded from their trucks into their facility and only a package count is done. They mark each package delivered off one at a time — even if there are one thousand packages. Each one is treated as mine was when I hand delivered it. 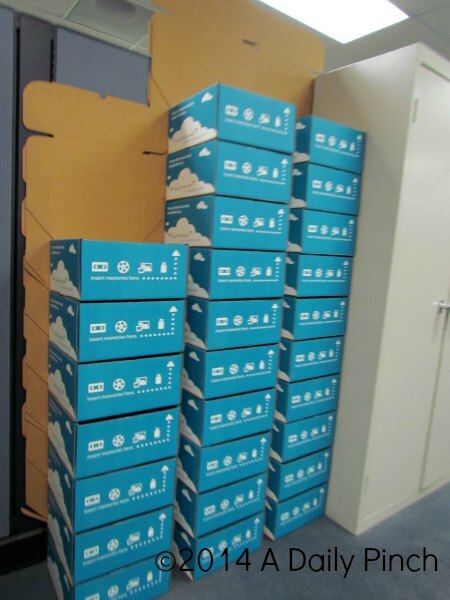 The packages are then locked away and sorted one at a time, each with custom bar codes so everything is tracked to the owner and the original package every single step of the way. While the packages are at the facility, they are being recorded on one of 100+ cameras located in the building which are constantly recording and this data is stored so if anything were to happen, they can go back to the videotape and review your package being processed. It’s like your teacher looking over you shoulder while you’re taking the biggest math test of the year. Each processing department, depending on what type of video, photo, etc., you’ve sent in is set up for proper processing by a trained staff who handles nothing but that items. One of the great things I love about YesVideo, other than the obvious care and safety given to your memories, is that fact you can view your memories and share them with others easily online. Once your videos are processed, YesVideo emails to notify you your videos are secure online for your to view them from home while they are in the final stages of processing and shipment. Yours truly might have cried over videos for close to a week. 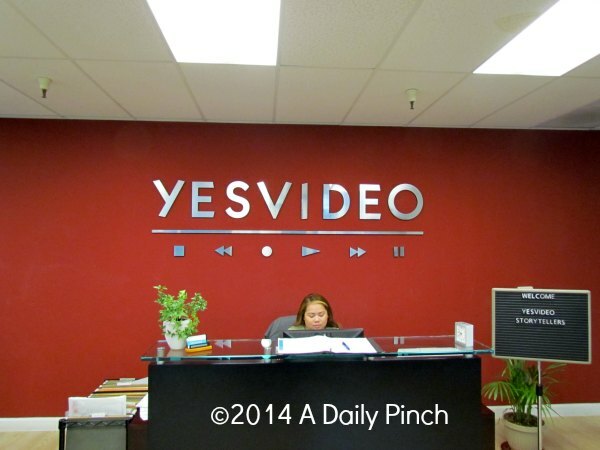 While I was in San Jose, YesVideo introduced their newest feature, HTML Embedding. You now have the capability to embed your personal videos on personal blogs, or websites, to share with friends, families and readers. Note: This feature is currently available for individual chapters, Trailers & Snippets only. The ability to embed an entire DVD/Video is not currently available. Visit share.yesvideo.com and Sign In to your YesVideo account. Find your favorite video from your video library. In the movie viewer, find the clip you want to embed. Once the chapter is playing, click “+ Create a link to this chapter”. For your viewing pleasure, this is Peanut when he was two, watching “The Blonde Bombshells” with Dame Judy Dench and Olympia Dukakis among others. It was his favorite at the time, but now he’d rather lock himself in his room. Disclaimer: I’m a YesVideo Ambassador and they paid for my trip to California, as well as for my video processing. I’d do it all over again.